Some destinations take you further than a relaxing seaside escape. 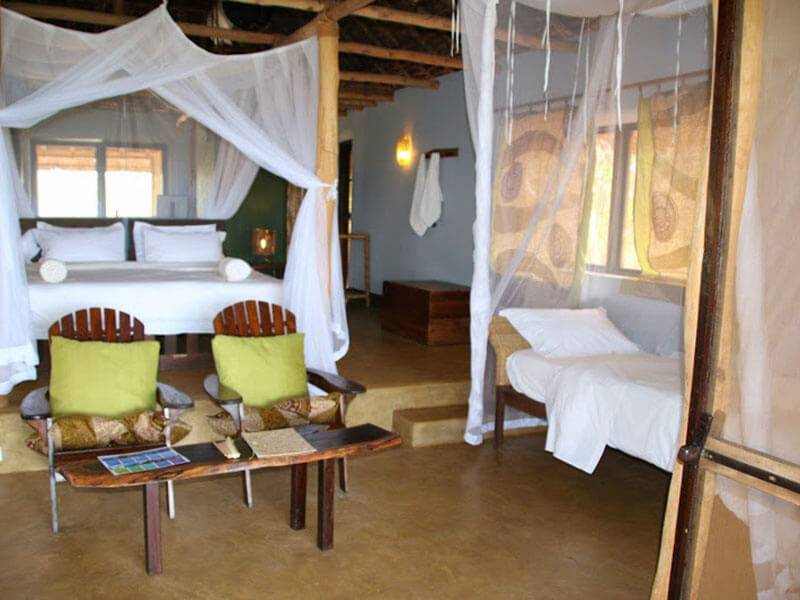 Nuarro Eco Lodge is that place. If you're looking to shed the demands of modern life for a week or two, then it's hard to imagine a more secluded and "off the map" destination than Nuarro. Offering many activities and boasting some of world’s most amazing diving. The kaleidoscope of colors and proliferation of underwater will leave you breathless. Truly a must visit. 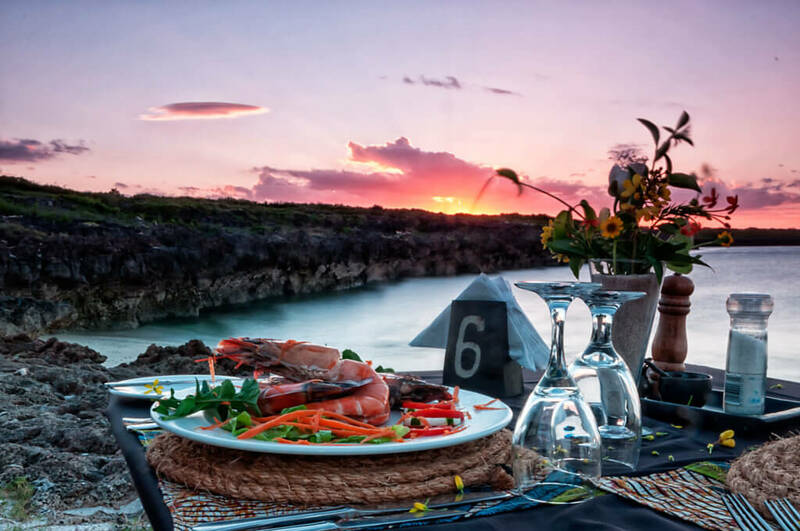 Nuarro Lodge with a natural theme is situated northern town of Nacala in Mozambique, surrounded by thick indigenous bush, stunning secluded beaches, and azure seas. 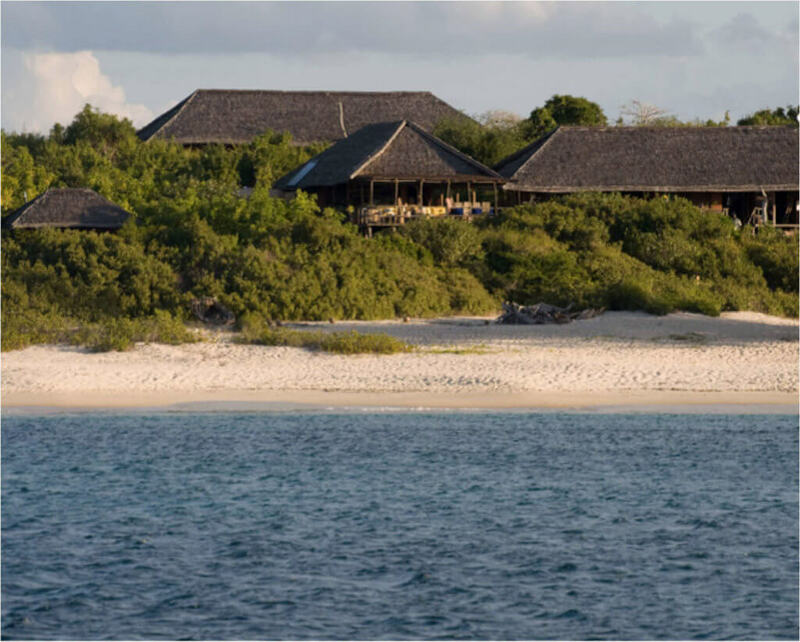 This 800-hectare private concession also boasts three kilometers of seashore – the ideal Mozambique Holiday setting. Nuarro (meaning ‘hole’) is named after a formation created from the ancient coral rock which has eroded over eons of time. 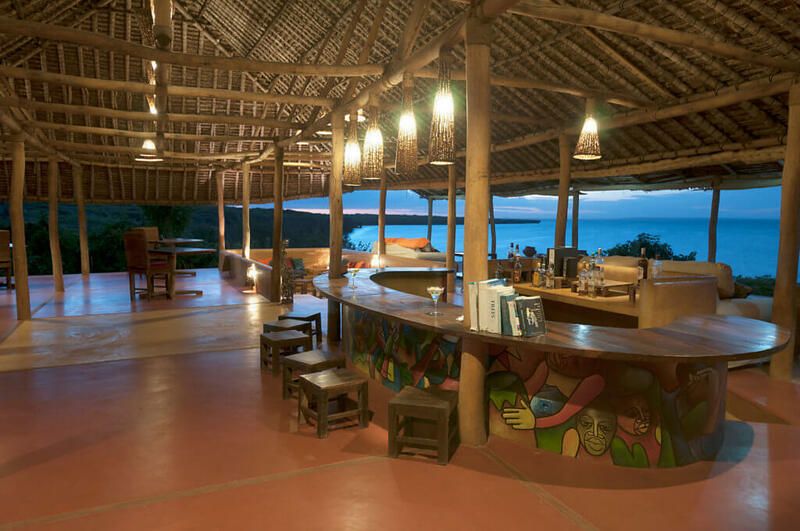 Built by local people using only natural materials, the lodge uses solar lighting which accentuates the rustic resorts comfortable beach-bush experience. 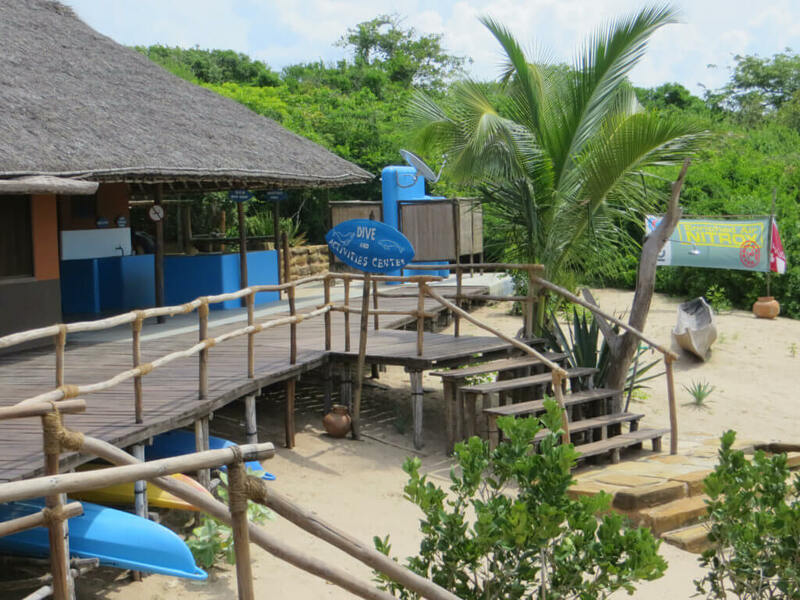 Positioned at the top of a dune overlooking Memba Bay, Nuarro Lodge features a Beach Bar and Marine Activity Centre. Divers and fishermen can explore the reefs or gently snorkel in the bay before going sea kayaking or dhow sailing. Picnic trips to isolated beaches; mountain biking and village trips are also cool activities for all guests. 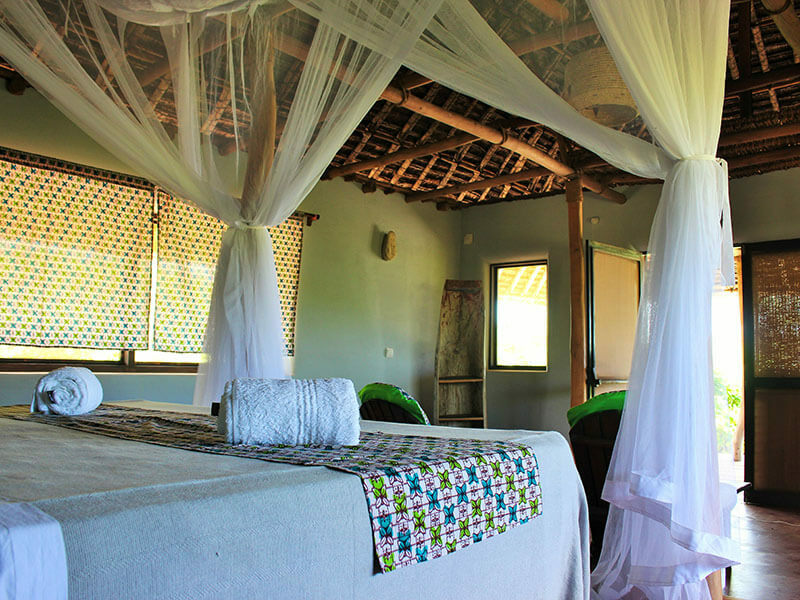 Typical Mozambique Accommodation in 12 luxury en-suite beachfront chalets for up to 40 people offers breezy rooms with natural ventilation, large wooden verandas, sun decks, and day beds. Indoor and outdoor showers complete the picture of comfort. Green walkways link the main lodge to the chalets, set in amongst the dunes and nestled in the bush. 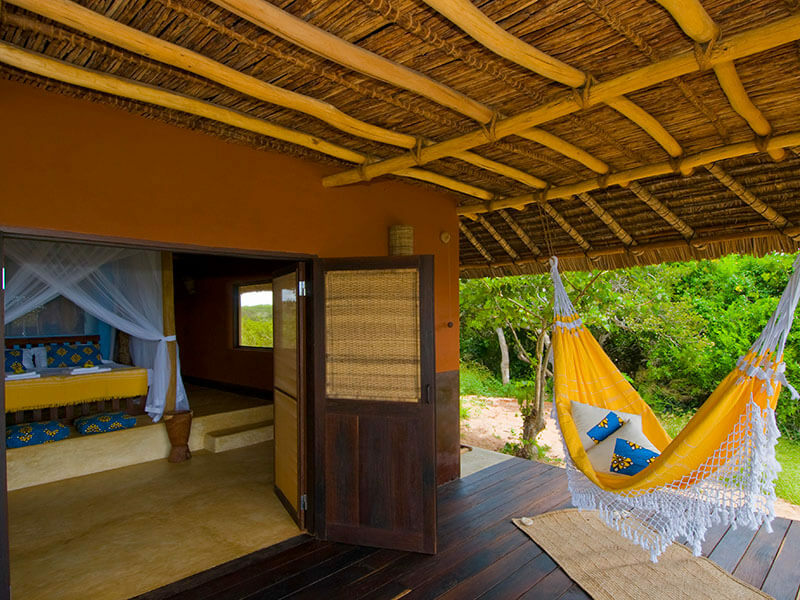 The views are best from the private veranda hammocks. Take a beach walk, look for whales or watch local fishermen at work. Nuarro Bay is protected therefore bursting with biodiversity. 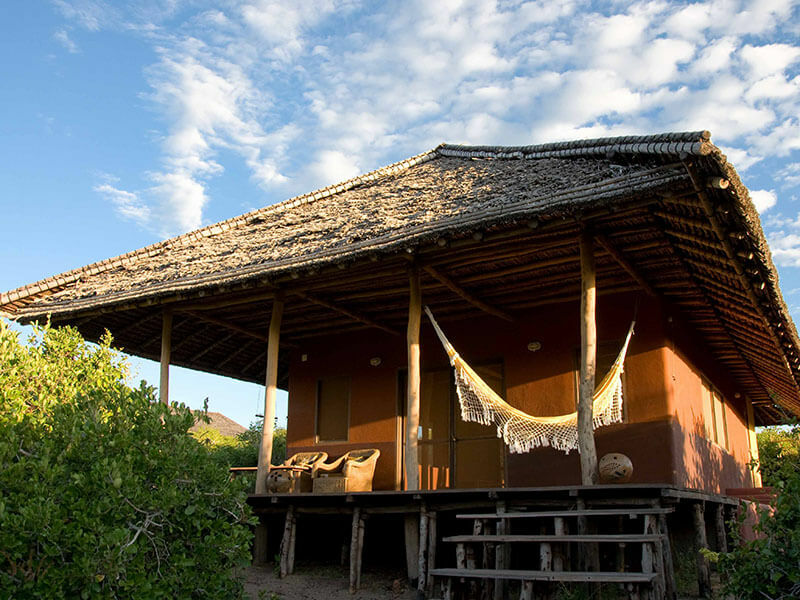 Visit Nanatha village to meet the people who built Nuarro Lodge – the people co-own the land and benefit from the relationship with the lodge owners and its guests. On the west end of the beach, guests will find a panoramic swish restaurant and cocktail bar with beautiful views of “Nanatha Island Rock” and the bay beyond. Try fresh seafood and salads then retire to the sunken lounge. 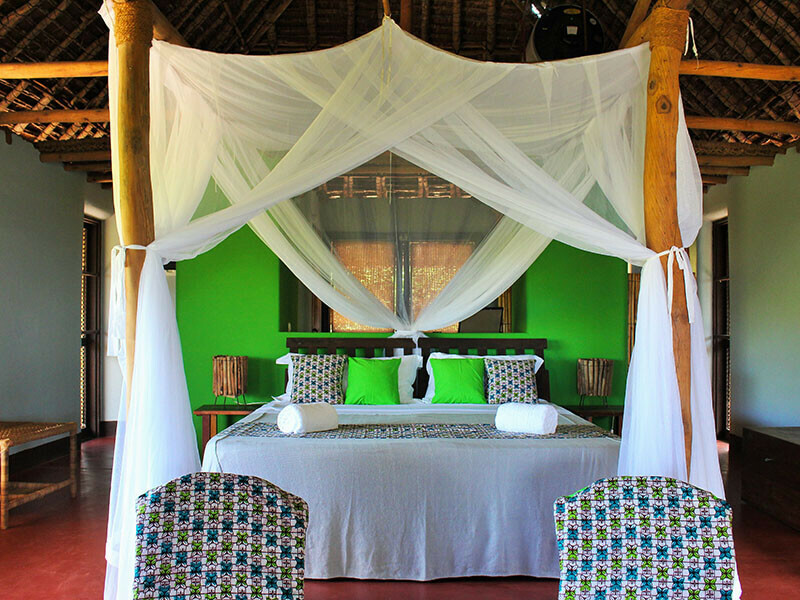 There are twelve stunning beachfront chalets, peppered along the beachfront. The 100m² chalets are all built from local, natural materials and were built by local people. Built on the dunes, designed to blend in with the natural environment as much as possible, all chalets have sea view and private access down to the beach. Some of the chalets are larger and can accommodate up to two extra beds, making it perfect for families. 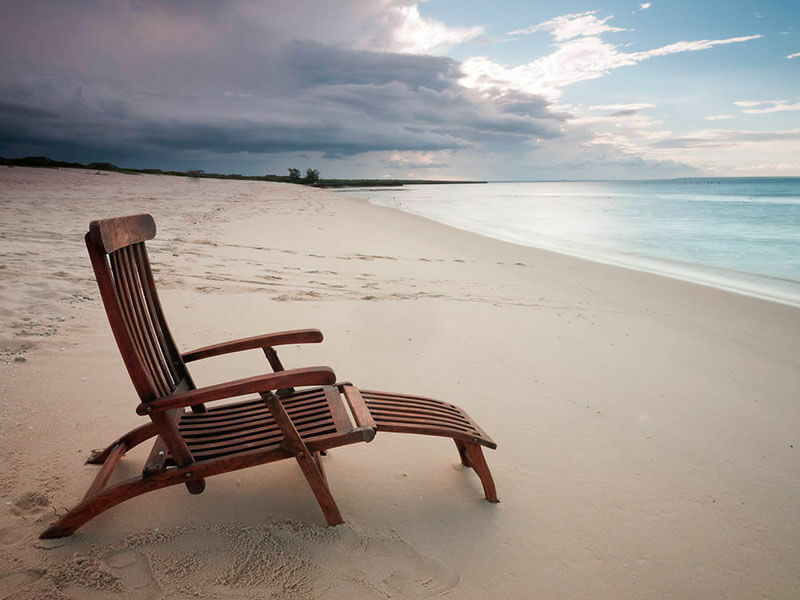 we have great deals and packages especially focused on family holidays to Mozambique. The dune vegetation gives the chalets sufficient privacy. The large veranda doors and elevation ensures a lot of ventilation through the chalet, maximizing on the constant sea breeze. 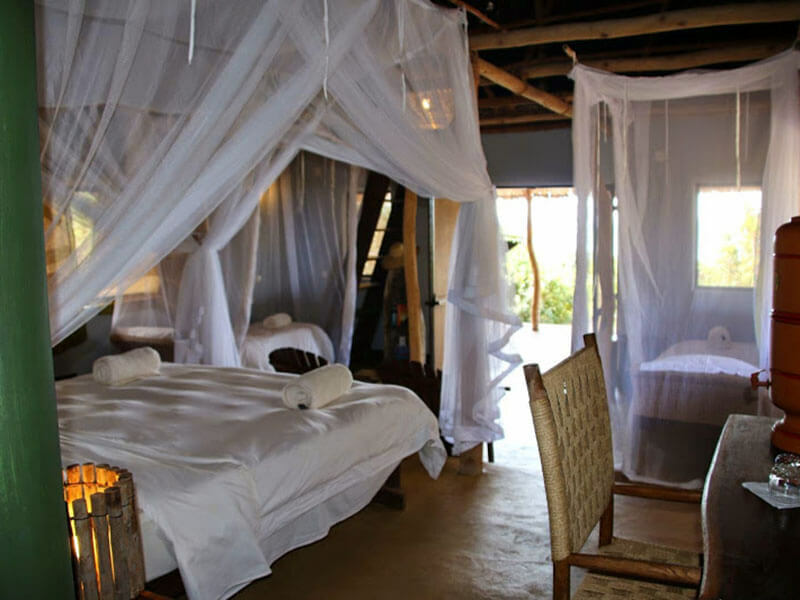 Each chalet has a generous mosquito-net-engulfed, king-sized bed that can also be converted into two three-quarter single beds. 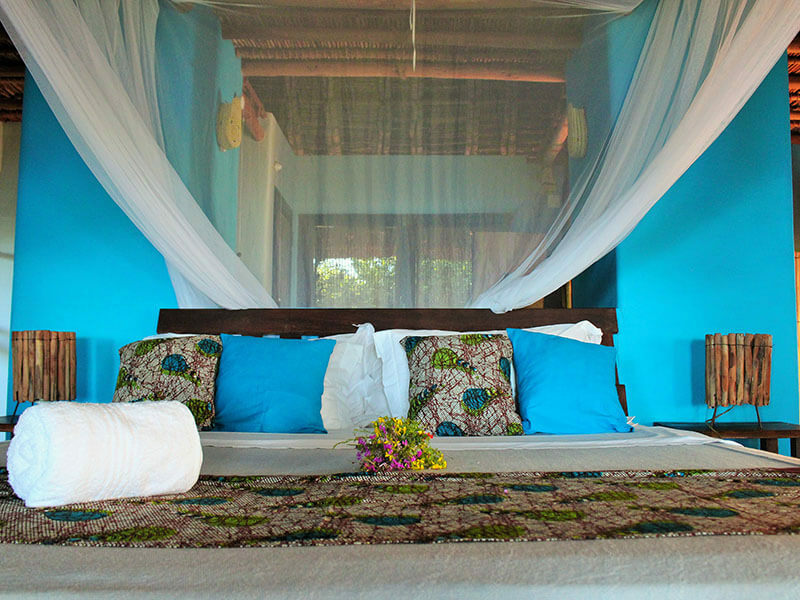 Nuarra Lodge is one of the most secluded beach resorts in Mozambique.